I was impressed at how the RV industry was holding up. There were around 60 exhibitors this year and plenty of additions and innovations to look at. Deals and alliances were being made, and sales and forward orders were rumoured to be heartening. Some of them were significant. Allisee from Andrew Fink Marine made its debut in the South Island and Andrew said the motorhome drew a great deal of very positive interest. Winnebago motorhomes, which supply 40 percent of the motorhomes sold in Australia is keen to increase its presence in the New Zealand market and has already made inroads. The Sunliners, also from Australia, were once again making an impact, impressing the punters with its elegant motorhome interiors. KEA, the New Zealand brand every free-wheeling New Zealander respects, has made a great job of updating the interior of its four-berth Dreamtime and six-berth Endeavour models. Roadcraft is another New Zealand company and its thoughtfully-built campervans are becoming a familiar name among get-up-and-go adventurers. It was demonstrating a new layout on a longer Fiat wheelbase, which provided opportunities for a permanent double bed and an extra bed in the cab. I was impressed with the fitouts that Exotic from Whangerei was doing with bus conversions and we will review one of these at a later date. Among the fifth wheels was a newcomer built by Monaco Motorhomes in Nelson. 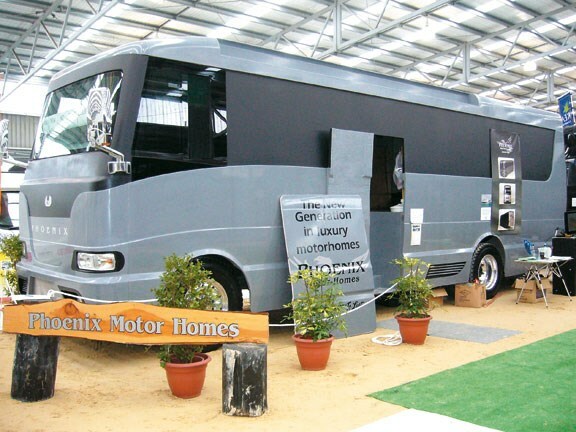 Its layout was much the same as Monaco’s stylish motorhomes. Hodge RV showed me the five different layouts in the fifth wheelers it builds. The successful Christchurch company is now selling more of these in Australia than it is in New Zealand. 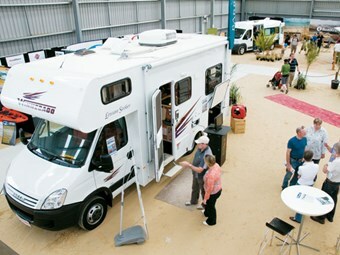 Kiwi RV Importers, on the other hand, import Springdale fifth wheels from America and it too was drawing attention. 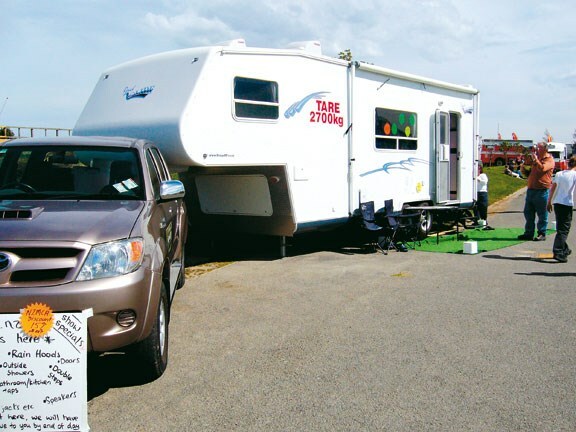 On the Way RV displayed the sleek fifth wheel Travelhome from Australia, as well as several models of Wildcats, which it imports into New Zealand from Forest River, Portland, America. Among the caravan selection I particularly noted the Cristalls, which are made in Holland for the UK market and imported here by Reid Johnson Ltd in Christchurch; Eagle and Paramount caravans made in Australia with hardwood framing and imported by Plaza Caravans also in Christchurch; and the Swift caravans from England, imported by Barrons. 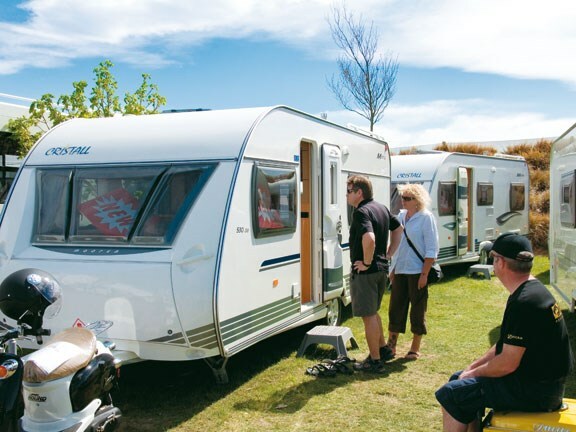 And for some of the most impressively presented caravans at the show it would be hard to go past the models from our own New Zealand company, Leisureline. And then we come to the big players, with all the bells and whistles. 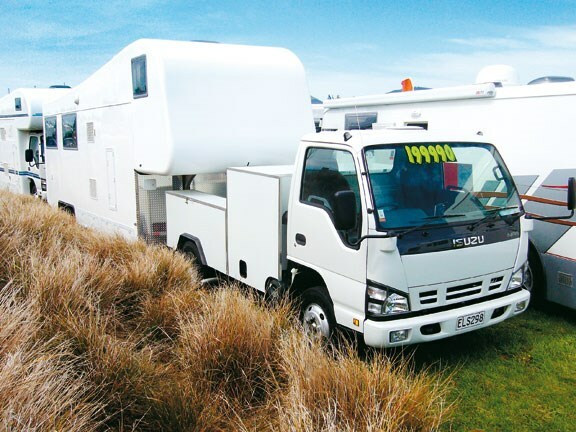 Among them was the imported Rexhall Aerbus from RV Importers in Taranaki (we review this in the next issue of MCD) and the Road Cruiser from Lifestyle motorhomes, Ashburton. And the Phoenix factory in the North Island has now produced two fibreglass bus bodies fitted to new Mitsubishi Fuso chassis ranging from eight - 13½ metres. The technology and material used in these chassis is the same as used in the Earth Race Boat, which travelled thousands of nautical miles in extreme conditions and the manufacturers expect the same performance. 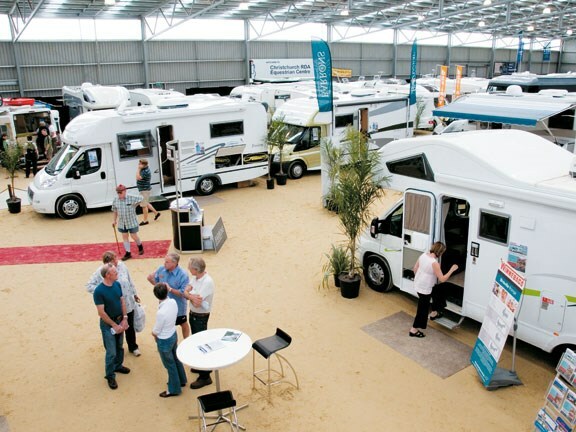 These are just some of the highlights, but overall the show can be judged as a good indication as to where the motorhome and caravan industry in New Zealand is at. It doesn’t look too bad at all.